All you start with is a circle and the radius used to construct that circle. Next move to point B, repeating the process over and over until you have 6 points on the circle. 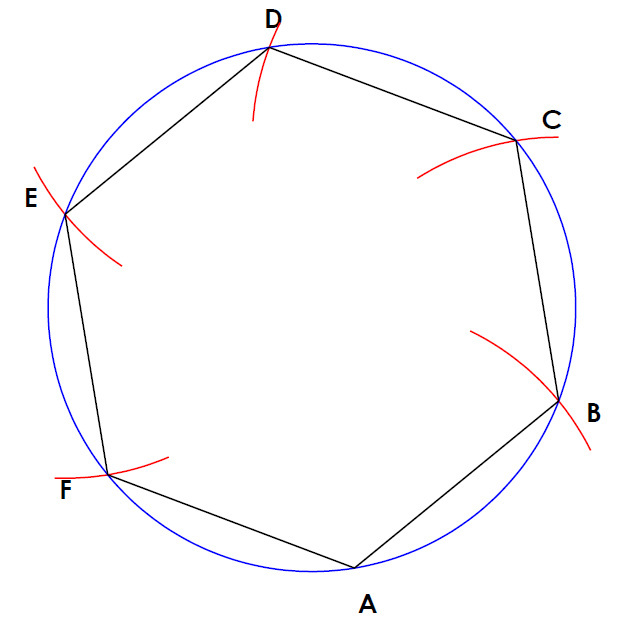 Join all ^ points to each other and you will form a regular hexagon.